Ya coulddn't make this up though. This was already after taking place before she went to the cop shop. Did she think this wouldn't come to the public's attention after her stunt? Let's see how much coverage it gets on Six One, Today FM, Newstalk etc. I don't know how the guberment could do their jobs more 'right'. I don't think she thinks very hard about much. And it's never her fault anyway. 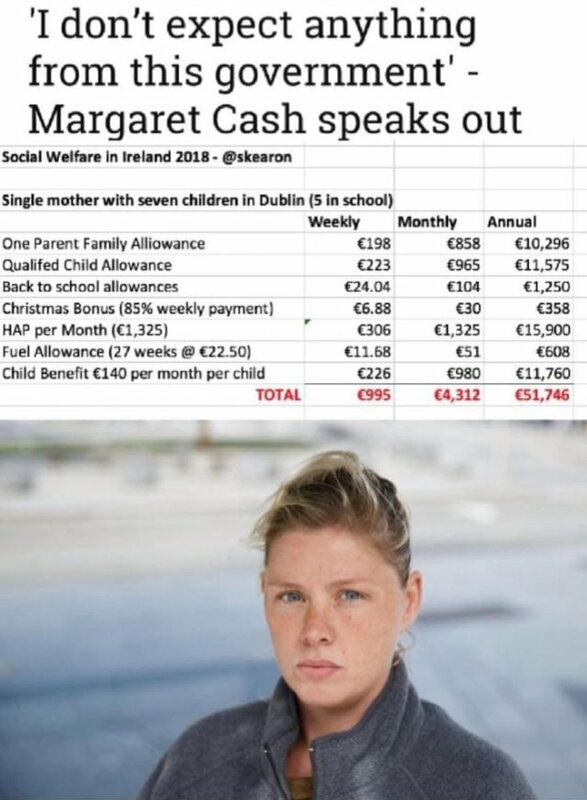 It'll surely be explained away as having to put clothes on her kids backs as the government won't help her. don't think she is the sharpest tool in the shed to be honest. She put up no Facebook message about her morning just one's about Peter Casey! Anyone know what her real name is? She probably thought this would slip under the radar given how much publicity she got elsewhere, with 38 convictions or 39 now, 2 for theft in 1 year, no wonder she won't get a council house, they do vetting checks, or at least they do on the settled community. One of her mates in on facebook says "How is this in the papers? This isn't a news story. I'm sorry they're targeting you"
No, she just doesn't give a f*ck.